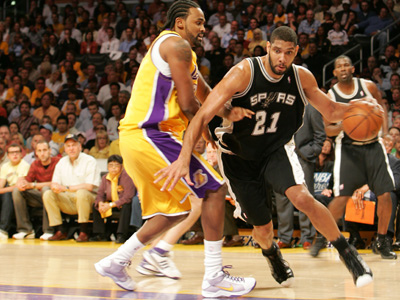 Tim Duncan has been named NBA's Most Valuable Player for the second consecutive season. Duncan led the San Antonio Spurs to a league best record of 60-22. He averaged over 23 points per game and 12.9 rebounds, while also blocking nearly three shots per contest. "Elite players are the guys who help their team and take them to the top echelon of the league," Duncan said. "That's what separates the good ones from the great ones." Duncan beat out a slew of talented players for the award. Minnesota's Kevin Garnett finished a close second, while Orlando's Tracy McGrady, the NBA's leading regular season scorer finished fourth. Ben Wallace, Shaquille O'Neal and Kobe Bryant all also received first place votes. Tim Duncan of the San Antonio Spurs has won the balloting for the NBA's Most Valuable Player award, The Associated Press learned Saturday. 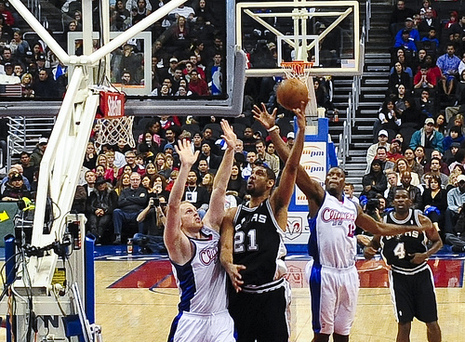 Duncan becomes the first player since Michael Jordan in 1991 and 1992 to win the league's most coveted individual award in consecutive seasons. The San Antonio Express-News was the first news organization to learn of Duncan's selection, reporting the news on its Web site early Saturday. A basketball source with knowledge of the final vote totals, speaking on condition of anonymity, confirmed to the AP that Duncan had indeed won the award.